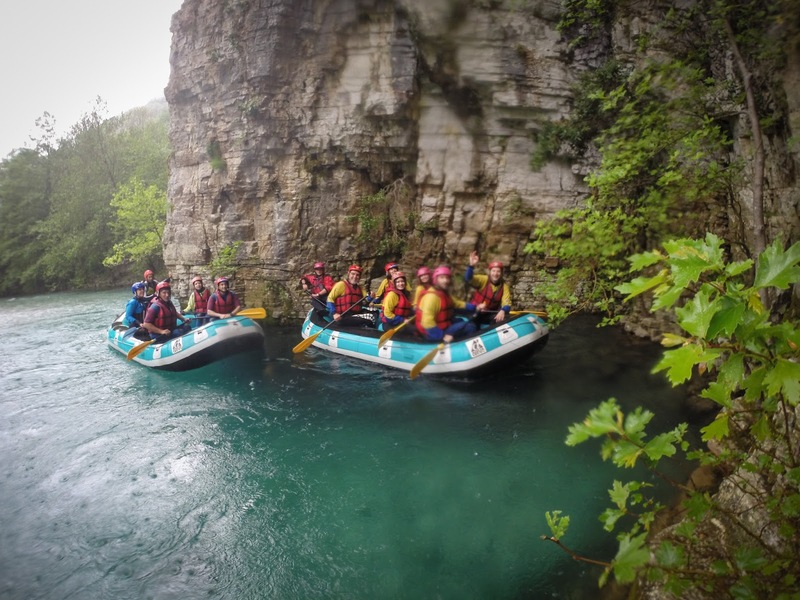 Voidomatis: I’m rafting in the rain! I’ve just returned from a training session on the lake. It’s incredible… so much love for water… so much peace on water… so much fun at the mere sight of your boat carving. Yesterday was one of the few sunny days of the past weeks… and this also applies to our journey (Andra’s, Marcel’s, and mine) through the Balkans. It rained more than during our trips through Scotland, Norway, and Iceland combined, but that is another story. Today’s story deals with turquoise. In the rain. Indeed, it was raining cats and dogs when we got to Aristi Village. Our guide, Xaris [as we would later find out], approached us – we did seem pretty disoriented in that weather, it’s true. We were riding down to the river in no time [we were already very late and the boats were waiting for us]; it’s when the bubble burst: Marcel was set to kayak. [Due to some last-minute amendments to the structure of our team –we should’ve been four instead of three–, we had decided to mainly raft and see if we had the local support of the rafting providers on site, kayaking-wise.] This time around, he was lucky. Alpine Zone, excellently organised and led by Achilles, allowed and helped Marcel fulfil his dream. So, there we were, rafting down Voidomatis, after a very professional training. A river not as famed for its rapids, but rather for its beauty. 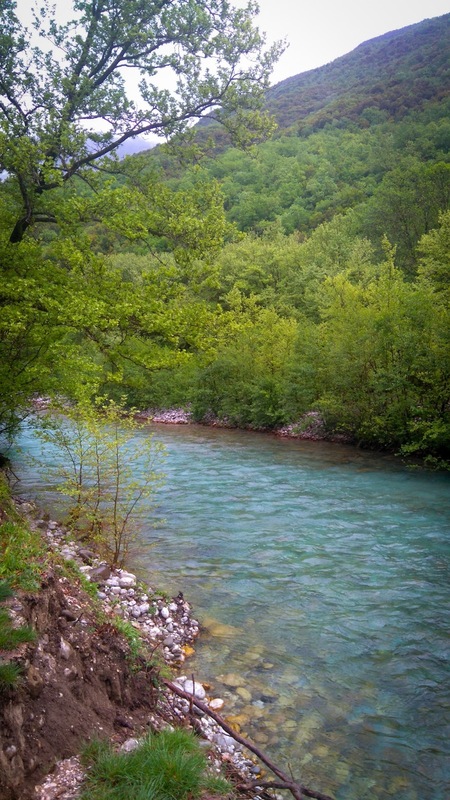 It’s got that electric colour – in an almost unbelievable shade, that freezing water – constant temperature 4-8ºC, and some scenery to truly marvel at – a national park, actually, and we were told that trees cannot be cut or removed. It’s truly peaceful. I look back and I see Marcel following us with his kayak. Was that a sigh? 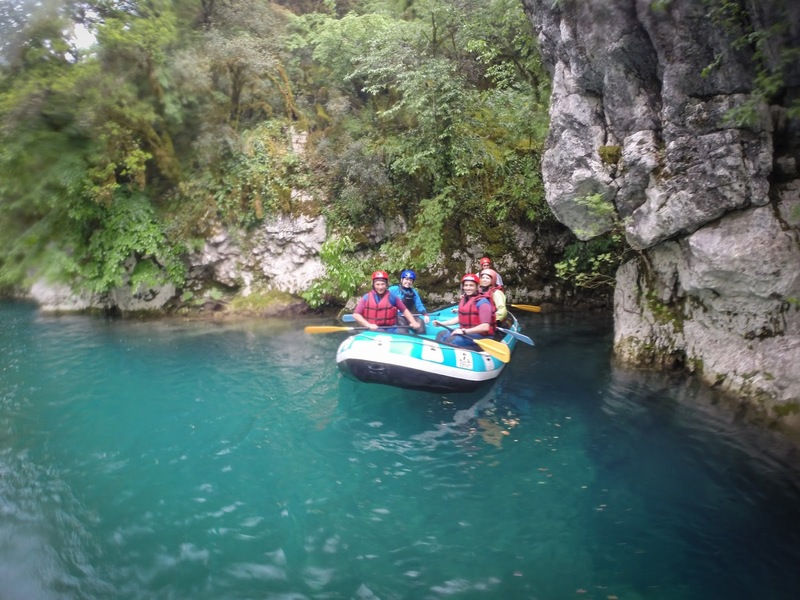 Well, a while back, I didn’t want to imagine rafting in the rain, but northern Greece was serving it all out. And it was beautiful! Drops of rain falling down the tree branches – some on us, some into the river, shaping a curtain of whitish azure. ‘I was just thinking… it’s a special experience rafting in the rain’ said one of our Israeli team mates, Avi, who spoke Romanian because his Grandma was from our country. Dudi agreed. At a point, Xaris instructed us to head to the shore, as there was a fallen tree in the middle of the river. Unfortunately, Marcel did not hear our instructions and he was swept by the current, heading straight into the tree. He wet-exited, but his paddle got stuck in the branches, underneath. Several guides tried to help him get it back, but the currents were too strong and conditions too risky. In the end, it was time to bid the paddle goodbye. We continued, with the rain still pouring down on us, with jokes brightening our faces, and with one paddle missing. Andra and I shared a paddle, as we tried to help Marcel join us, in his kayak, using the other paddle. The last part of our session was a more technical one: a waterfall and two stoppers. Tricky stuff, but Xaris steered the boat just right and we helped him as instructed, so we did look pretty cool as a team [Marcel observed from afar]. We were happy. And wet. 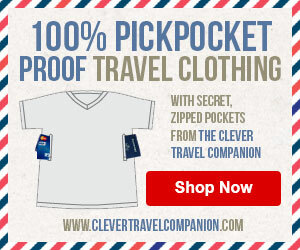 Was the rain warmer than the river? Uh-huh.